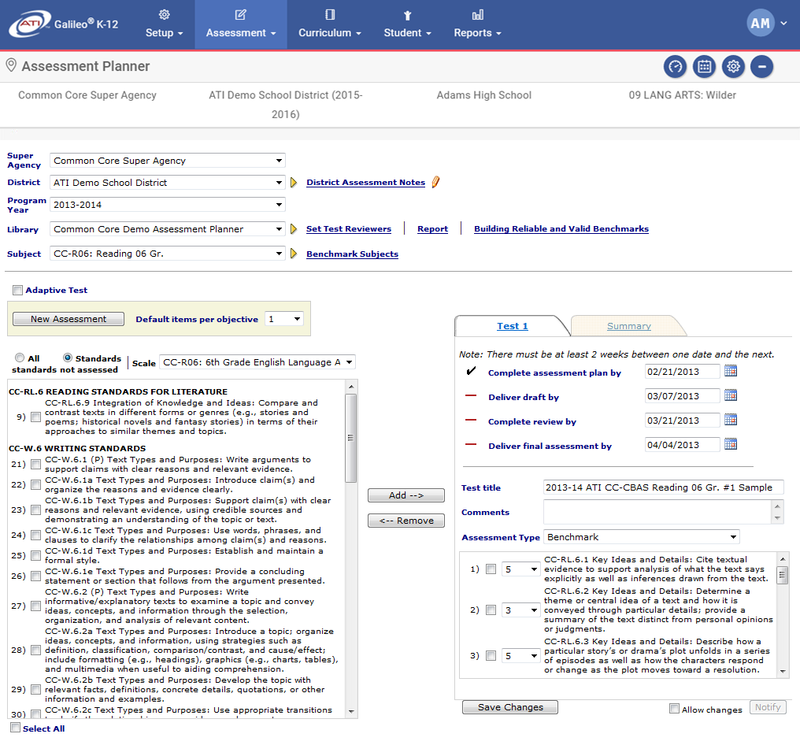 Galileo includes multiple easy-to-use assessment creation interfaces designed for district, school and class level users. In addition to the multiple types of pre-built assessments comprising Galileo, ATI develops more than 5,000 unique assessments each year reflecting district curriculum, district pacing guides, and/or statewide test blueprints. Customized district-wide assessments are designed for districts/charters by our Educational Management Services and Research staffs in collaboration with district/charter staff. indicate the number of items desired for each standard covered on the assessments. The Galileo Assessment Planner saves educators time while providing the desired flexibility in assessment creation. 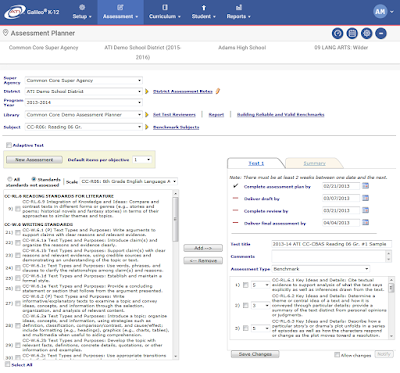 Using Assessment Planner, assessments may be designed to include a variety of item types including constructed-response items (e.g., essays). Once completed, assessments can be administered online or offline with plain paper or high speed scanning. For more information on the Assessment Planner contact your dedicated Field Service Coordinator.